This week, Chicken Treat has launched The Tempta Juicy ‘Que Range via &Partners. The new product launch is the first since &Partners’ appointment to the creative account in February this year. 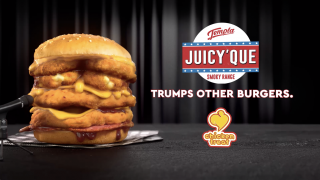 The new ‘Trumps other burgers’ campaign features an arrogant Tempta Juicy ‘Que burger who thinks rather a lot of himself. &Partners’ Managing Partners, Bryan Dennis and Dav Tabeshfar explained. 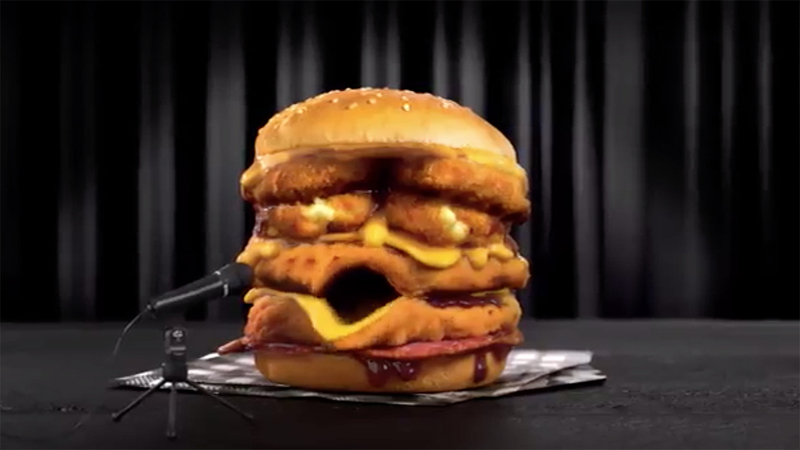 The ‘Trumps other burgers’ campaign features TV, radio, outdoor and social media executions. Media was planned by Mindshare. Sorry, join the queue behind every other commercial that uses Trump. Not new, not different, not good. 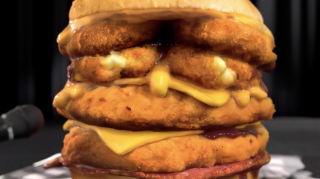 That looks like a heart attack with every mouthful! Lee Perry’s Trump impersonation is the best I’ve ever heard! He’s ridiculously good, Jules. He added a lot of nuance to the scripts. Awesome, love a cheeky trump take down. Love it! Everyone knows a stacked chicken burger isn’ The healthiest option, but if you’re going to have one it makes sense to choose the one that Trumps the rest! It’s fun, and makes the product the focus of the ad the whole way through – a tricky thing to pull off. A brave idea, and good to see a client that wasn’t too chicken to run it! Trump is a pretend President who lies about how good he is in order to win the popular vote. Looks this very unappetising looking burger is fake news too! Good on the client for committing to something unexpected. It’s rare in Perth right now. I guess it makes sense to advertise a fat orange burger by impersonating a fat orange man, who clearly eats too many burgers!